The Bugatti EB110 SS Is A One Of A Kind Throwback Car You DO NOT Want To Miss! Major Gear head Chris Harris managed to get his hands on the very unique and rare Bugatti EB110 SS and we get the ultimate pleasure of joining Harris as he takes it for an incredible ride on the wide open roads. This specific model was known as one of the great super cars of the 1990s and it’s power is still a contender for even the most powerful cars on the road today. Equipped with four turbochargers to ignite it’s 3.5 L V12 engine this super beast can fly on the road. With only 33 of these magnificent cars in the world this video gives you the ultimate treat of hopping back into the past and taking a ride in one of the sweetest super cars in automotive history. 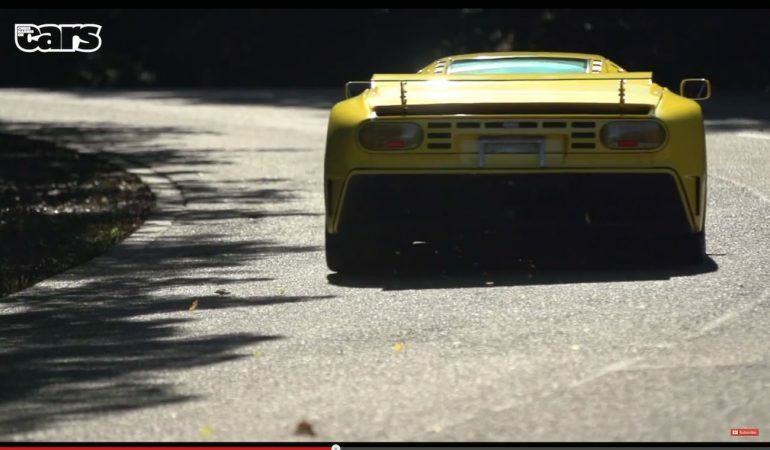 Click the video below to learn everything you could ever want to know about the Bugatti EB110 SS!